Media reform plays an increasingly important role in the struggle for social justice. As battles are fought over the future of investigative journalism, media ownership, spectrum management, speech rights, broadband access, network neutrality, the surveillance apparatus, and digital literacy, what effective strategies can be used in the pursuit of effective media reform? Prepared by thirty-three scholars and activists from more than twenty-five countries, Strategies for Media Reform focuses on theorizing media democratization and evaluating specific projects for media reform. 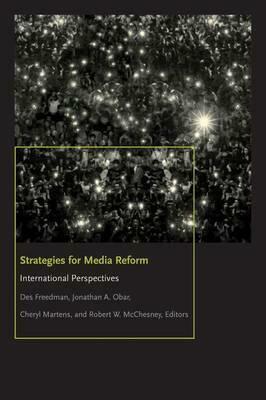 This edited collection of articles offers readers the opportunity to reflect on the prospects for and challenges facing campaigns for media reform and gathers significant examples of theory, advocacy, and activism from multinational perspectives.